I’ve been secretly coveting ankle cuffs after seeing the metal and floral ones in Prada’s spring/summer 2012 campaign images. I absolutely adore them and I’ve been scouring the internet for them for months. 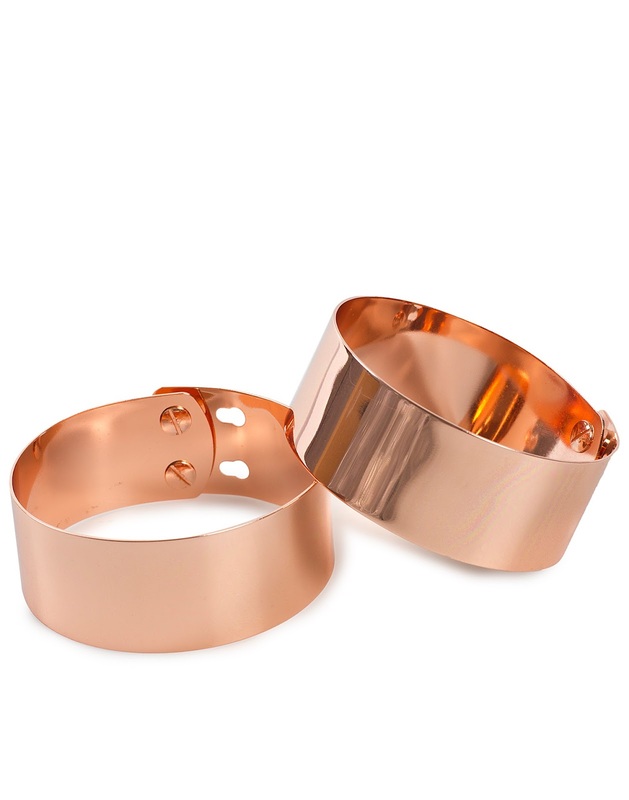 A few days ago I found this rose gold pair on Nelly.com and ordered them immediately, of course. I think they’ll actually work a lot better in winter over tights leggings and maybe even skinny jeans than in summer. I’ve opted for the rose gold colour but know that I’m going to invest in silver and gold as soon as I try them on. What do you think of ankle cuffs?